I'm not sure why my script is not being found. I'm launching Pythonista from a terminal application (jailbroken). 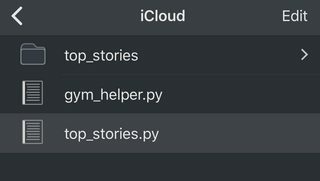 It opens the top_stories.py for editing but does not run it. Try pasting the link into safari to see if it is an app activator issue..